Now, we introduce our StarCraft II program AlphaStar, the first Artificial Intelligence to defeat a top professional player. In a series of test matches held on 19 December, AlphaStar decisively beat Team Liquid’s Grzegorz "MaNa" Komincz, one of the world’s strongest professional StarCraft players, 5-0, following a successful benchmark match against his team-mate Dario “TLO” Wünsch. The matches took place under professional match conditions on a competitive ladder map and without any game restrictions. 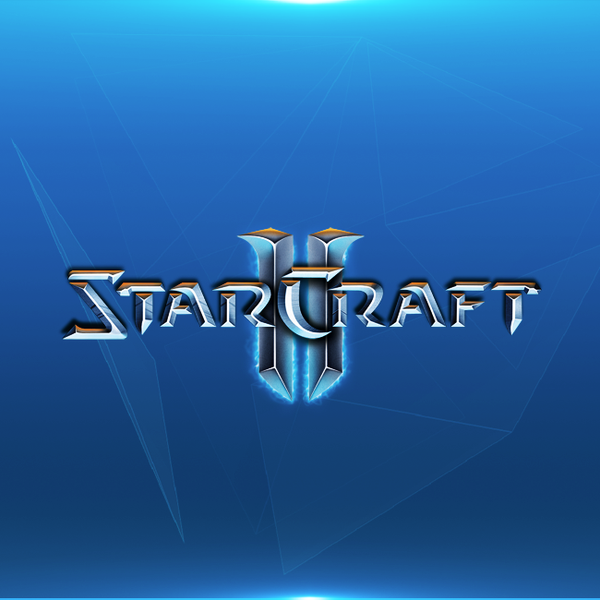 StarCraft II, created by Blizzard Entertainment, is set in a fictional sci-fi universe and features rich, multi-layered gameplay designed to challenge human intellect. Along with the original title, it is among the biggest and most successful games of all time, with players competing in esports tournaments for more than 20 years. There are several different ways to play the game, but in esports the most common is a 1v1 tournament played over five games. To start, a player must choose to play one of three different alien “races” - Zerg, Protoss or Terran, all of which have distinctive characteristics and abilities (although professional players tend to specialise in one race). Each player starts with a number of worker units, which gather basic resources to build more units and structures and create new technologies. These in turn allow a player to harvest other resources, build more sophisticated bases and structures, and develop new capabilities that can be used to outwit the opponent. To win, a player must carefully balance big-picture management of their economy - known as macro - along with low-level control of their individual units - known as micro. \* Game theory: StarCraft is a game where, just like rock-paper-scissors, there is no single best strategy. As such, an AI training process needs to continually explore and expand the frontiers of strategic knowledge. \* Imperfect information: Unlike games like chess or Go where players see everything, crucial information is hidden from a StarCraft player and must be actively discovered by “scouting”. \* Long term planning: Like many real-world problems cause-and-effect is not instantaneous. Games can also take anywhere up to one hour to complete, meaning actions taken early in the game may not pay off for a long time. \* Real time: Unlike traditional board games where players alternate turns between subsequent moves, StarCraft players must perform actions continually as the game clock progresses. \* Large action space: Hundreds of different units and buildings must be controlled at once, in real-time, resulting in a combinatorial space of possibilities. On top of this, actions are hierarchical and can be modified and augmented. Our parameterization of the game has an average of approximately 10 to the 26 legal actions at every time-step. Due to these immense challenges, StarCraft has emerged as a “grand challenge” for AI research. Ongoing competitions in both StarCraft and StarCraft II have assessed progress since the launch of the BroodWar API in 2009, including the AIIDE StarCraft AI Competition, CIG StarCraft Competition, Student StarCraft AI Tournament, and the Starcraft II AI Ladder. To help the community explore these problems further, we worked with Blizzard in 2016 and 2017 to release an open-source set of tools known as PySC2, including the largest set of anonymised game replays ever released. We have now built on this work, combining engineering and algorithmic breakthroughs to produce AlphaStar. These were then used to seed a multi-agent reinforcement learning process. A continuous league was created, with the agents of the league - competitors - playing games against each other, akin to how humans experience the game of StarCraft by playing on the StarCraft ladder. New competitors were dynamically added to the league, by branching from existing competitors; each agent then learns from games against other competitors. This new form of training takes the ideas of population-based reinforcement learning further, creating a process that continually explores the huge strategic space of StarCraft gameplay, while ensuring that each competitor performs well against the strongest strategies, and does not forget how to defeat earlier ones. As the league progresses and new competitors are created, new counter-strategies emerge that are able to defeat the earlier strategies. While some new competitors execute a strategy that is merely a refinement of a previous strategy, others discover drastically new strategies consisting of entirely new build orders, unit compositions, and micro-management plans. For example, early on in the AlphaStar league, “cheesy” strategies such as very quick rushes with Photon Cannons or Dark Templars were favoured. These risky strategies were discarded as training progressed, leading to other strategies: for example, gaining economic strength by over-extending a base with more workers, or sacrificing two Oracles to disrupt an opponentʼs workers and economy. This process is similar to the way in which players have discovered new strategies, and were able to defeat previously favoured approaches, over the years since StarCraft was released. To encourage diversity in the league, each agent has its own learning objective: for example, which competitors should this agent aim to beat, and any additional internal motivations that bias how the agent plays. One agent may have an objective to beat one specific competitor, while another agent may have to beat a whole distribution of competitors, but do so by building more of a particular game unit. These learning objectives are adapted during training. In order to train AlphaStar, we built a highly scalable distributed training setup using Googleʼs v3 TPUs that supports a population of agents learning from many thousands of parallel instances of StarCraft II. The AlphaStar league was run for 14 days, using 16 TPUs for each agent. During training, each agent experienced up to 200 years of real-time StarCraft play. The final AlphaStar agent consists of the components of the Nash distribution of the league - in other words, the most effective mixture of strategies that have been discovered - that run on a single desktop GPU. A full technical description of this work is being prepared for publication in a peer-reviewed journal. Professional StarCraft players such as TLO and MaNa are able to issue hundreds of actions per minute (APM) on average. This is far fewer than the majority of existing bots, which control each unit independently and consistently maintain thousands or even tens of thousands of APMs. In its games against TLO and MaNa, AlphaStar had an average APM of around 280, significantly lower than the professional players, although its actions may be more precise. This lower APM is, in part, because AlphaStar starts its training using replays and thus mimics the way humans play the game. Additionally, AlphaStar reacts with a delay between observation and action of 350ms on average. We trained two new agents, one using the raw interface and one that must learn to control the camera, against the AlphaStar league. Each agent was initially trained by supervised learning from human data followed by the reinforcement learning procedure outlined above. The version of AlphaStar using the camera interface was almost as strong as the raw interface, exceeding 7000 MMR on our internal leaderboard. In an exhibition match, MaNa defeated a prototype version of AlphaStar using the camera interface, that was trained for just 7 days. We hope to evaluate a fully trained instance of the camera interface in the near future. These results suggest that AlphaStar’s success against MaNa and TLO was in fact due to superior macro and micro-strategic decision-making, rather than superior click-rate, faster reaction times, or the raw interface. While StarCraft is just a game, albeit a complex one, we think that the techniques behind AlphaStar could be useful in solving other problems. For example, its neural network architecture is capable of modelling very long sequences of likely actions - with games often lasting up to an hour with tens of thousands of moves - based on imperfect information. Each frame of StarCraft is used as one step of input, with the neural network predicting the expected sequence of actions for the rest of the game after every frame. The fundamental problem of making complex predictions over very long sequences of data appears in many real world challenges, such as weather prediction, climate modelling, language understanding and more. We’re very excited about the potential to make significant advances in these domains using learnings and developments from the AlphaStar project. We also think some of our training methods may prove useful in the study of safe and robust AI. One of the great challenges in AI is the number of ways in which systems could go wrong, and StarCraft pros have previously found it easy to beat AI systems by finding inventive ways to provoke these mistakes. AlphaStar’s innovative league-based training process finds the approaches that are most reliable and least likely to go wrong. We’re excited by the potential for this kind of approach to help improve the safety and robustness of AI systems in general, particularly in safety-critical domains like energy, where it’s essential to address complex edge cases. Achieving the highest levels of StarCraft play represents a major breakthrough in one of the most complex video games ever created. We believe that these advances, alongside other recent progress in projects such as AlphaZero and AlphaFold, represent a step forward in our mission to create intelligent systems that will one day help us unlock novel solutions to some of the world’s most important and fundamental scientific problems. We are thankful for the support and immense skill of Team Liquid’s TLO and MaNa. We are also grateful for the continued support of Blizzard and the StarCraft community for making this work possible. Ali Razavi, Daniel Toyama, David Balduzzi, Doug Fritz, Eser Aygün, Florian Strub, Guillaume Alain, Haoran Tang, Jaume Sanchez, Jonathan Fildes, Julian Schrittwieser, Justin Novosad, Karen Simonyan, Karol Kurach, Philippe Hamel, Ricardo Barreira, Scott Reed, Sergey Bartunov, Shibl Mourad, Steve Gaffney, Thomas Hubert, Yuhuai Wu and the whole DeepMind Team, with special thanks to the RPT, comms and events teams. StarCraft, considered to be one of the most challenging Real-Time Strategy games and one of the longest-played esports of all time, has emerged by consensus as a “grand challenge” for AI research. Here, we introduce our StarCraft II program AlphaStar, the first Artificial Intelligence to defeat a top professional player.